In a society where the local cineplex is over-saturated with franchise movies, remakes, reboots and sequels, it's practically a relief when something original comes along. Usually it's something from an independent movie studio but either way, it's a nice break from explosions and gunfights. Ex Machina also focuses on elements of the thriller genre throughout as well. Much like film noirs of the past and more recently Gone Girl, the film shows how someone could look innocent and completely harmless but are actually anything but. It doesn't take long before that flawless mask of theirs starts showing a few cracks. Starring in Ex Machina are Domhnall Gleeson, Oscar Isaac and Alicia Vikander, three actors who have been on the rise in recent years. This trio continues to prove here that they are most certainly people to keep an eye on. It won't be much longer until they're the most sought after actors in the business. Ex Machina is a brilliant and complex film though not without its faults. For instance, why is it in always the case in fiction that robots and AIs have the female form? Is it so their creators have a better sense of control over them? (Granted, such a situation works here but in other instances, it feels slightly sexist.) Still, Garland provides a well-done escape from usual Hollywood fare. Women rarely get the screentime they deserve in films nowadays. And if they do get screentime, there's a strong likelihood that they'll be objectified at some point. It's practically a bloody miracle when an actress gets a role with some meat on it. 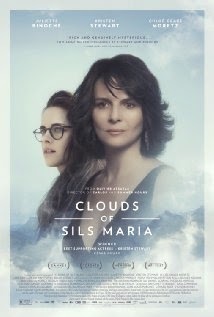 Clouds of Sils Maria is very good but something about it feels forced. Still, the work from Assayas and the three principal actresses is very good and worth a look. Life is a very fickle thing. You expect everything to be fine and dandy but then one thing comes along and proceeds to throw everything into chaos. It could be something simple like losing a job or something more affecting like the death of someone close to you. 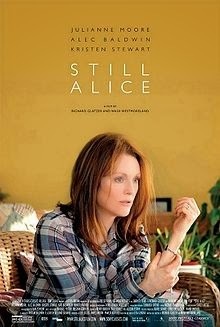 Still Alice focuses on the effects of a debilitating disease (in this case, Alzheimer's disease) on a family. As the disease progresses, emotional bonds begin to fray. What will decay faster: the health of the patient or the well-being of their family? 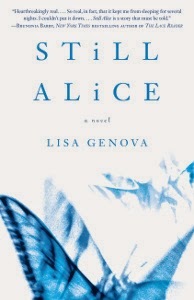 Lisa Genova's novel is an absolutely heartbreaking read. Much like Flowers for Algernon, it's devastating for the reader to witness the brilliant mind of this Harvard professor slowly fall to pieces. And Genova's writing style depicts the mental decline through the eyes of the patient, which makes it all the more heartrending. 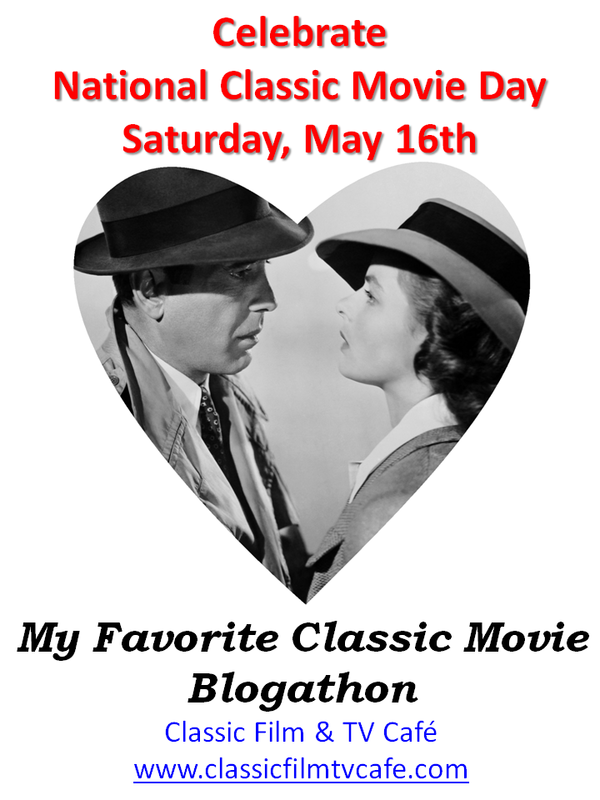 A few changes aside (changing the location from Boston to New York City for starters), Richard Glatzer and Wash Westmoreland's adaptation stays true to Genova's novel. Though it becomes clear early on that it's a film more dependent on the performances than the strength of the script. That said, the actors (particularly Julianne Moore and Kristen Stewart) do try their best and manage to deliver. So which of the two is better? Glatzer and Westmoreland do try to match up with Genova but they don't try hard enough. Something about it feels...artificial. (And yes, it's cruel to say knowing that Glatzer died several months after the film's release.) But it's clear which one triumphs. Throughout J.C. Chandor's A Most Violent Year, there are many allusions to crime films of the 70s and early 80s. Whether Bradford Young's Gordon Willis-inspired cinematography or Chandor's Sidney Lumet-influenced direction, it's a film that would make those that were alive during that era proud. Speaking of The Godfather, the performances from Oscar Isaac and Jessica Chastain are very reminiscent of those from the first two installments of Francis Ford Coppola's famed trilogy. Isaac clearly channels that Al Pacino's performance from the first film. 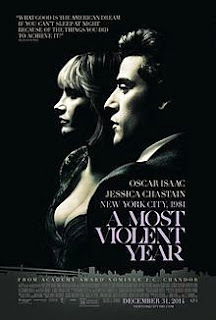 Chastain, meanwhile, channels more of Pacino's work of the second film. He's trying to stay away from violence, she's more accepting to violence. A nice foil between the two. As mentioned earlier, A Most Violent Year is very reminiscent of the films of Sidney Lumet. If one film of Lumet's extensive career could best be compared to this, it would be Prince of the City. Low-key yet very effective, both films show the business side of criminal behavior. A Most Violent Year may be slow in spots but it still remains exciting. Thanks to the work from Chandor, Isaac and Chastain, it's a portrait of times passed. You don't normally see films like this nowadays.